SUPER CUTE! 18K Gold Plated Girls’ Earring Sets! Oh my! 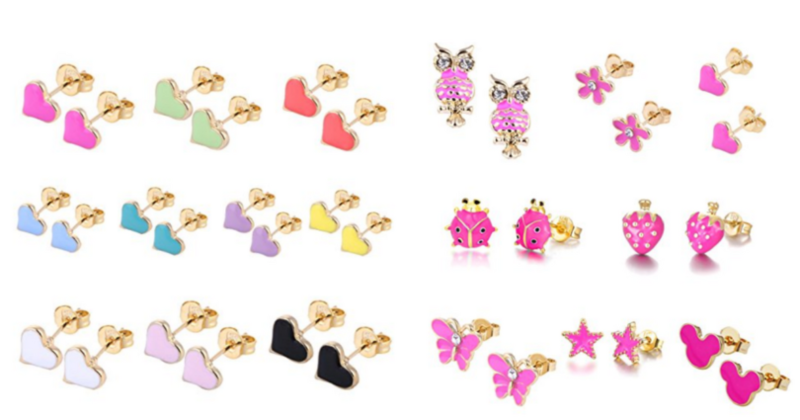 There are SO MANY cute earring sets for girls on Amazon right now! These are all 18k Gold Plated and the perfect size for girls! Choose from NINE different sets! I think the Mix Rose ones are my favorite! It has a combination of all of the different sets. Grab Huggies Diapers for $3.74 at CVS!